The new manager of the STC Accessibility SIG, Ann Wiley, shared this press release from Unity House, an organization in Auburn, New York, that she is affiliated with. The Unity House Award illustrates a constructive way of promoting accessibility in a community. You can encourage dialog, support, and empowerment on all sides when giving out awards like this. While this award is local to Auburn, New York, it can be an inspiration to other organizations to recognize support in their community. 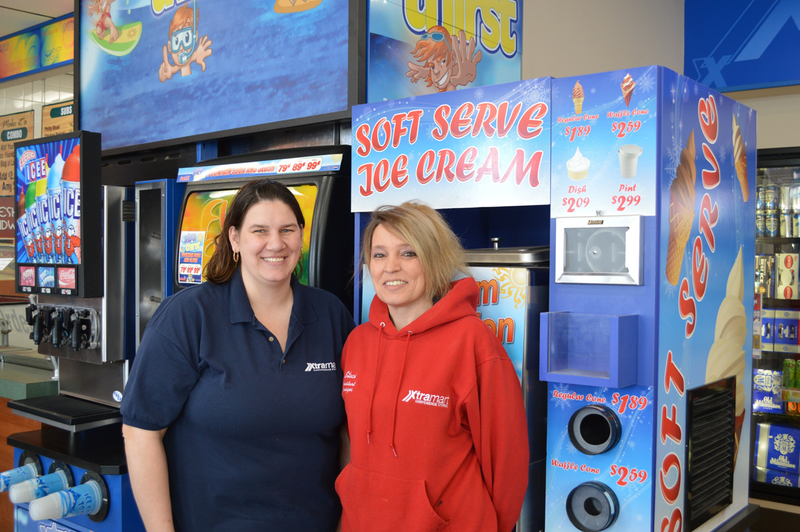 Auburn, New York – Unity House is pleased to announce that the Lansing Xtra Mart, and specifically managers Jessica Slater-Mejia and Staci Nickerson, has been chosen by Unity House employees as the recipient of its 4th annual Open Arms award. The convenience store will be honored at Unity House's annual dinner on April 27, 2015 at the Hilton Garden Inn in Auburn. Manager Jessica Slater-Mejia (left) and Manager in Training Staci Nickerson (right in red). Unity House of Cayuga County, Inc. introduced the Open Arms Award in 2012 as a way to recognize a community member or organization that truly welcomes the agency's consumers with disabilities in public and/or at their place of business. The awardee demonstrates empathy and genuine delight when interacting with these individuals, helping them to gain a sense of place and inclusion within the community, a hallmark of Unity House's work. Nominations are sought in-house every spring. Unity House employees only are invited to nominate an individual or company that exemplifies the Open Arms Award: caring, compassion, and a commitment to recognizing ability, not disability. Jessica Slater-Mejia and Staci Nickerson at Lansing Xtra Mart, 32 Peruville Road, were selected this year because "they always go out of their way to welcome our consumers and make them feel part of the community," said nominators Nicole Blagg and Russ Thomas. Nicole went on to describe how: "After getting to know one of our consumers through regular visits, Staci and Jesse planned and held a New York Yankees-themed birthday party at the store for him. They decorated the store in Yankee colors and even had a Yankees cake made. Several consumers, staff, and regular customers attended. Jesse and Staci genuinely enjoy having our folks stop by the store and routinely go above and beyond to make them feel welcome and wanted." Jessica and Staci are delighted by the award. "We don't need an award to be nice," said Jessica. "Most people don't want to be bothered helping people with disabilities. We do want to be bothered and look forward to seeing them in the store. Sometimes one of the men will come in and do a Michael Jackson dance, and gets everyone in the store clapping. We're already planning another birthday party for Richard this summer." Corporate sponsors for the dinner are Cuddy Law Firm and Key Bank. Table sponsors are Currier Plastics, Welch Allyn, Johnston Paper, Lynch Furniture, Reagan Companies, and MEDENT. Unity House of Cayuga County, Inc. provides transitional and permanent housing, rehabilitative, and employment services for individuals with mental health illnesses, developmental disabilities, and/or chemical dependencies from which they are recovering. A nonprofit 501(c)(3) organization, Unity House partners with these individuals to develop their personal skills and potential, enabling them to live more full and independent lives. The agency serves more than 700 consumers a day in six central New York counties. Unity House is committed to freeing our communities of misconceptions associated with disabilities through innovation, education, and advocacy. The agency will celebrate its 40th anniversary in 2017.